Dave's Racing Collectibles is dedicated to the many needs of today's racing fan. We carry a full line of NASCAR, NHRA, SPRINT Car and Vintage DIRT Champ, Indy and Coupes. 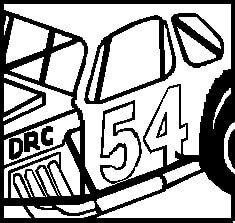 We are the producers of our own line of cars, Nutmeg Collectibles which is the only manufacturer of both past & present dirt modifieds. We do ship internationally to anywhere but this can't be done through the site directly, you must email us items so we can calculate proper shipping charges. Orange County Fair Speedway Souvenir booth and products web store. You can Click on logo below to jump directly to that page.